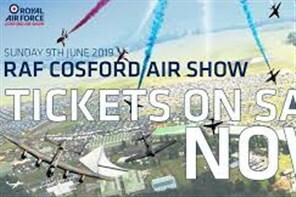 The RAF Cosford Air Show 2019 will feature a unique mix of aircraft which will be showcased in the flying display and in our static exhibitions. With a thrilling flying display, 100 historic aircraft to see on the ground and hangars full or interactive exhibitions and award winning displays. A brilliant day out for the family. A complete list of all the exciting aircraft that are attending the RAF Cosford Air Show 2019 will be updated in Spring 2019 and this years event will be bigger and better! Our hangar displays allow you to see behind the scenes at RAF Cosford and discover what training to become qualified RAF Technicians and Engineers looks like! With a number of military units based at RAF Cosford this is your opportunity to get hands on and find out what life in the Royal Air Force is really all about. There will be displays from the Defence School of Aeronautic Engineering, No.1 Radio School, Defence School of Photography, RAF School of Physical Education and many more. Over the past 5 years, our STEM Hangar has grown to become a must-visit attraction at the Air Show. Showcasing the best that the RAF, Industry and academia have to offer in the fields of Science, Technology, Engineering and Maths, the STEM Hangar is an ideal chance to get real hands on experience of what it is like to be in some of the most diverse and exciting careers available. Gather information about future education opportunities and see just where your passions for all things STEM could take you..! Each year with over 50,000 visitors we know they love visiting our Vintage Village each year, as we transport them back in time with classic vehicles, period entertainment and a vintage tea room. So for 2018 we're expanding and hosting 3 different villages! These form part of the special RAF100 static exhibitions and tie in with our RAF100 celebrations. As well as looking at the history of the Royal Air Force, our RAF Village will showcase the very best of today's Royal Air Force. You'll be able to explore the range of RAF Careers available as both a Regular or Reservist. As well as hands on displays and exhibitions  including a mock-up Chinook helicopter - a number of Royal Air Force display teams will have a ground presence in the RAF Village, including your chance to meet the RAF Red Arrows pilots!